Tremble and quake with delight as the golden foliage grows and blooms. 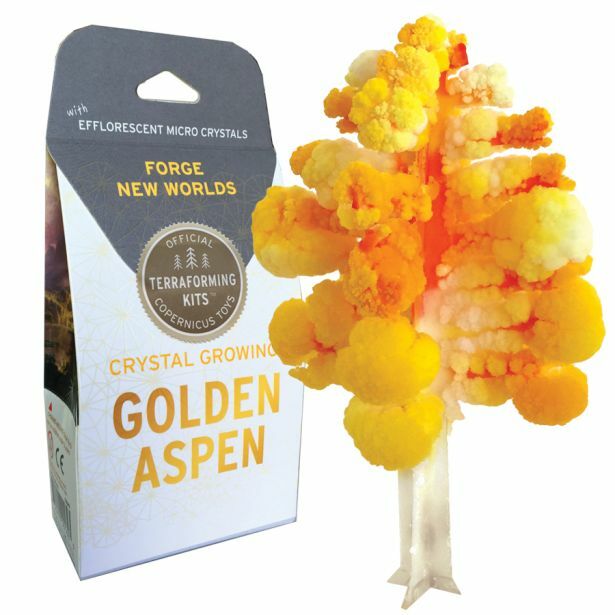 A new classic crystal growing kit of this iconic tree. Our kit includes a paper Aspen form, tray, terraforming solution, instructions and Aspen facts. All in a cool 3.5x2x7.5” box.